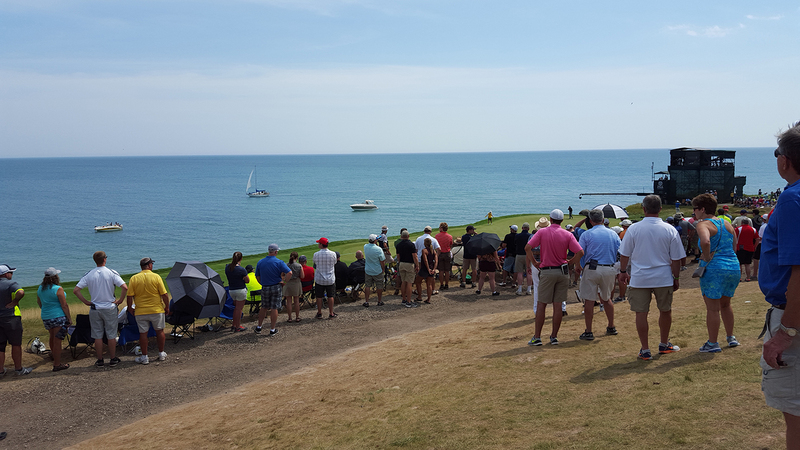 WGT Country Club members, play CC Event #7 going on NOW thru Sun, 8/30. 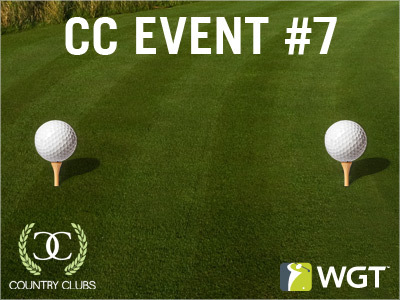 CC Events are back with new improvements for country clubs to enjoy. Compete against other country clubs for in-game rewards, new golf ball tee markers and flags, and (most importantly?) club pride. 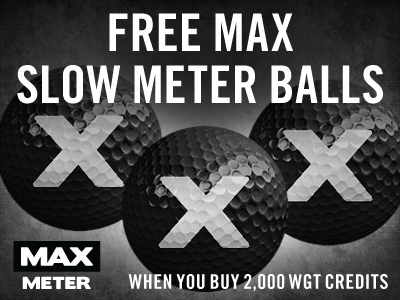 Get some of our most popular virtual golf balls free, now through Sunday -- get 3 free MAX Slow Meter virtual golf balls when you buy 2,000 or more WGT Credits. These popular MAX Slow Meter golf balls provide good overall distance and spin, but with maximum amount of feel to give you a slower swing meter, making all your clubs easier to hit. Plus, Amateur tier and higher will get the MAX Slow Meter Balls with gold vapor trails to help you trace your shots through the air. *Special offer for players who buy 2,000 or more WGT Credits 8/28/15-8/30/15, receive 3 free MAX Slow Meter virtual golf balls (Hack) or MAX Slow Meter Gold Vapor virtual golf balls (Amateur+). Offer valid on one 2,000 or more WGT Credit purchase only. 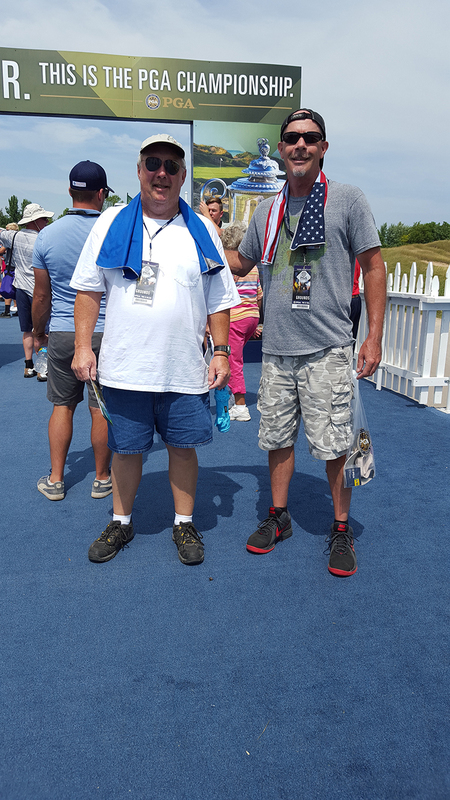 As the grand prize winner of the 2014 Virtual PGA Championship, Tour Legend dansamcam received a trip for him and a guest to attend the 2015 PGA Championship this summer at Whistling Straits as special guests of the PGA. 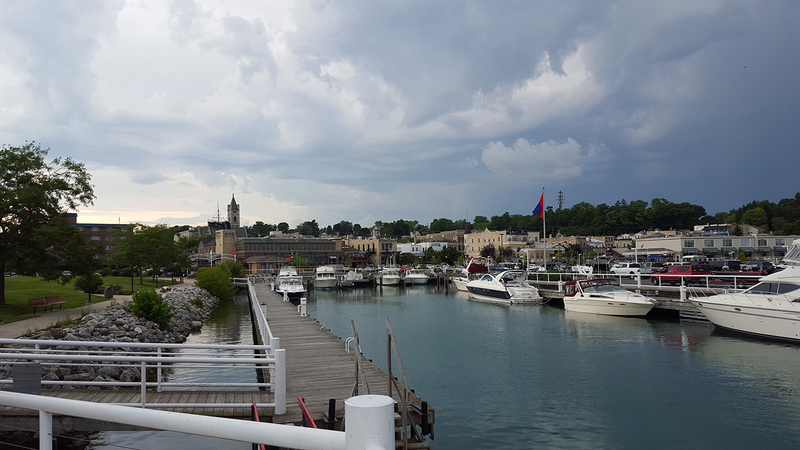 He was kind enough to share his experience with us, including some awesome photos. 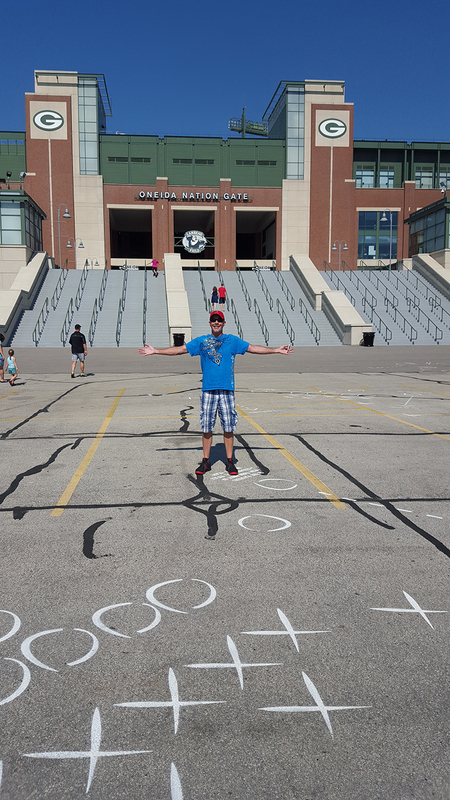 And, as you'll read, he definitely made the most of the trip, crossing a few big things off the bucket list! 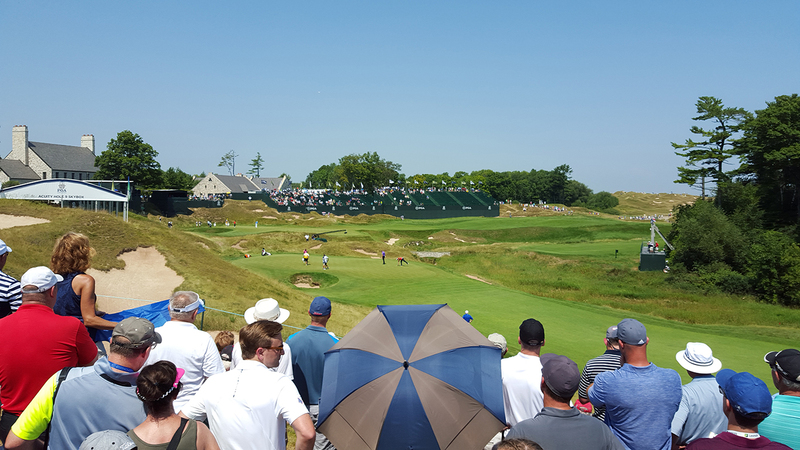 My trip to this year's PGA Championship turned out to be much more than just a trip to the PGA Championship. It was one of my most memorable trips ever. 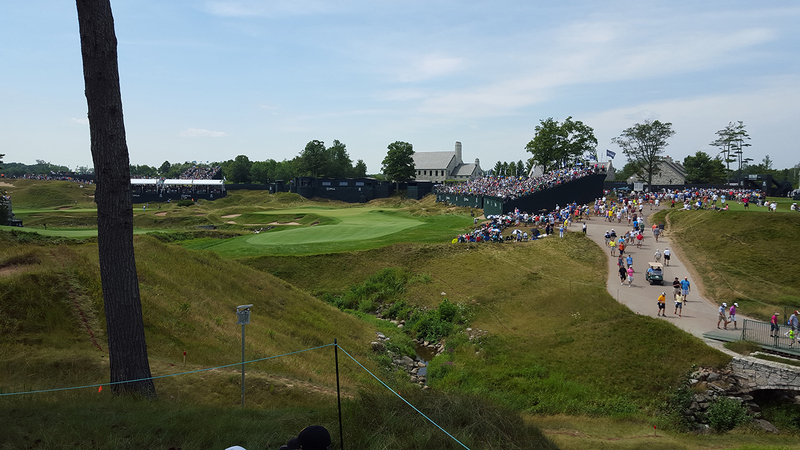 I was able to check off several items from my bucket list, such as attending one of golf's Majors, seeing Tiger Woods play in person and visiting Lambeau Field, football's mecca and home of the Green Bay Packers. There were some extra bonuses too, being able to meet one of my Aphrodite CC friends from WGT in person (Cate55 was the random draw winner and is a very wonderful person to meet in real life too). 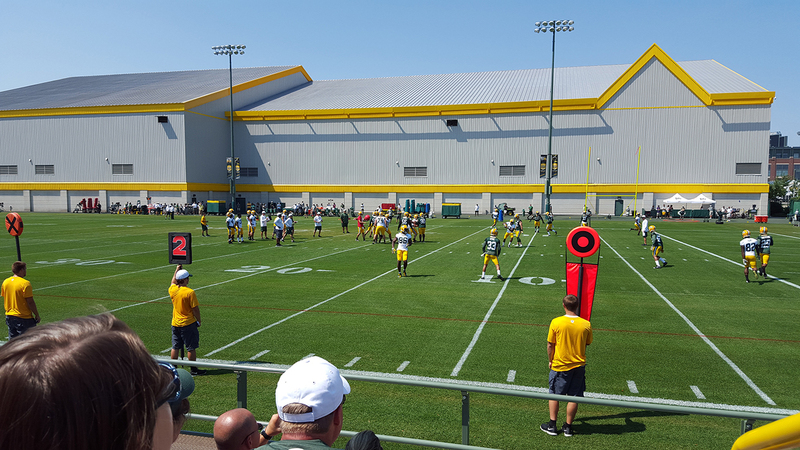 Watching the Packers practice live, visiting the little town of Green Lake where my mother's family is from and where she was born, and of course staying in a wonderful little fishing town called Port Washington. The local cuisine there was excellent and the people are very friendly. I'd like to give a special shout out to Lori from the Rusty Anchor in Port Washington who makes an awesome margarita and made my cousin and I feel right at home. 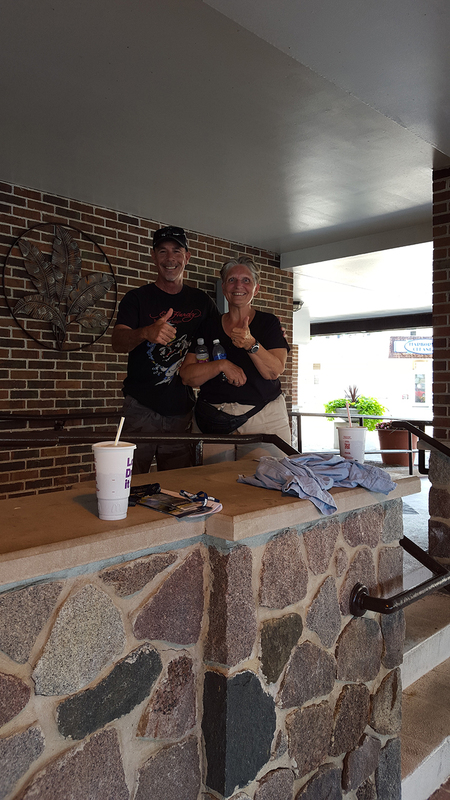 Thank you WGT for making this great trip possible!! 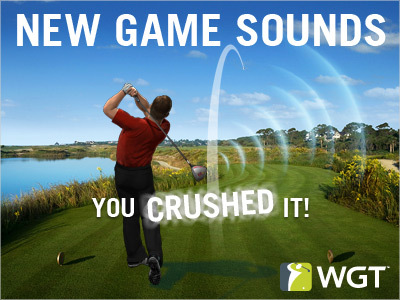 See what's new on WGT today, including a new Odyssey virtual putter, improvements to WGT Country Clubs and new game sounds. 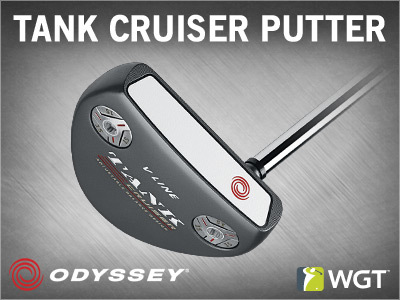 The new Tank Cruiser V-Line Putter from Odyssey is a great choice to give you solid putting performance with more balance and forgiveness, helping you sink more putts and lower your scores. 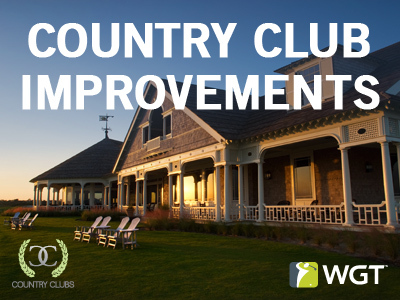 We're continuing to work on making WGT Country Clubs even better communities, with options for new players to find and join a club that’s right for them, and letting club owners control who can create CC tournaments for their club. See what's new in your club or join a country club now on the Clubs page. Keep your ears open for new game sounds in stroke play games, giving you feedback like cheering you on, providing some applause or maybe even some taunting to keep you sharp! Note, you can always choose to turn these sounds on or off in your Game Settings under "Celebrations." The newest WGT course is now available to play in fast, fun Ready-Go tournaments to win credits. 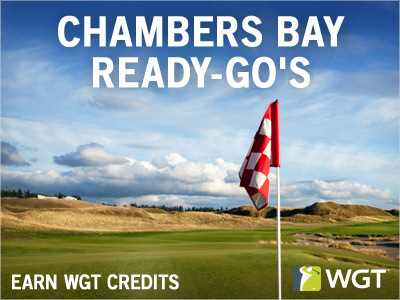 Join a paid Ready-Go to compete against other WGT players for WGT Credits, to experience Chambers Bay in a new, faster way. Tour Legend tinybo wins the first tournament of the Jul-Sep WGT Virtual Tour Quarterly Season, the Glenmorangie Challenge Qualifier. Shooting rounds of 51 and 55 for a total score of 106, tinybo wins the Tour Legend field by 4 strokes over JJ656 and Saurabh08 (110). Eligible players who entered the Glenmorangie Challenge Qualifier tournament will also be entered to win special sweepstakes prizes, including real golf clubs and accessories, and the huge grand prize golf package that includes a trip for them and a guest to the 2016 Open, a round at The Old Course at St Andrews, and more. Play the Valhalla Challenge tournament in August, the second in the Jul-Sep Quarterly Season. Post your unlimited first round score by 8/26, then compete in the single-play second round 8/27-8/31 to determine your final score. The top 70 scores in each Pro and higher tier will split a total purse of 200,000 WGT Credits, that will count toward the Jul-Sep quarterly season leaderboard and determine final standings. Play this month's WGT Virtual Tour tournament to earn WGT Credits and move up the Quarterly Season leaderboard. Post your round 1 score in the Valhalla Challenge on Valhalla by 8/26, then compete in the single-play second round, 8/27-8/31. The top 70 scores in each tier will split a total purse of 200,000 WGT Credits, that accumulate to determine leaderboard standings.